Governor and former Tampa mayor Bob Martinez on growing up Tampanian, the creation of The Straz and what it meant for the growth of Tampa. Construction of Festival Hall, now Carol Morsani Hall. With Caribbean blue eyes, an easy smile and a rambling drawl that flows through stories of Tampa history like the Hillsborough River ambles through this vast county, Robert “Bob” Martinez makes for an enchanting conversationalist on the subject of The Straz and what Tampa was like all those many years before it housed a world-class performing arts center. This season, we celebrate 30 years of The Straz. As part of this celebration, we are gathering stories, “the million little stories that make up who we are,” and we decided that we might as well start at the beginning – with Bob Martinez. Martinez’s grandparents came to Tampa from Spain, mingling with the other immigrant cultures of Ybor City and West Tampa – Italians, Cubans and Germans – and, like those new Americans, Martinez’s grandparents joined the mutual aid societies of the area. “I grew up here, and we belonged to Centro Español. For twenty-five cents or fifty cents a week for your whole family, you had hospital care, a clubhouse, doctors, a cemetery. It really was care from birth to death,” Martinez recounts from the penthouse conference room in the Regions Bank building where, though in his 80s, he works as a senior policy advisor for Holland & Knight, LLP. From this bird’s-eye view, the swooping lines of the deep blue Hillsborough Bay hug the sprawling cluster of white and terra cotta rooftops. Like exotic hot air balloons, railroad tycoon Henry B. Plant’s Moorish minarets spring skyward, an opulent reminder of Tampa’s first renaissance, now on the campus of University of Tampa, home to the Bob Martinez Athletic Center. This view looks like it does now mostly because of Martinez’s mayoral agenda in the early ’80s, the second renaissance for Tampa. By the 1970s, Martinez, who had been a much-loved high school teacher, bought Café Sevilla, a Spanish restaurant with a reputation for attracting a who’s-who from business, politics and entertainment. “If any famous actors were in town filming a movie, somebody would bring them by Café Sevilla,” Martinez says. “We had Ricardo Montalban, Vikki Carr, Fernando Lamas.” People knew Bob Martinez, and a month after he took over the restaurant, then-Governor Reubin Askew called Martinez to serve on the board of the Southwest Florida Water Management District. The call jump-started Martinez’s political life, and, in 1979, he announced his mayoral bid. The major focus of his platform? Photo of downtown Tampa before the Straz Center was built. The idea took. The daily papers supported the platform, and Martinez received almost zero push-back on the proposal – impressive, considering it carried a multi-million-dollar price tag that taxpayers, would, in part, cover. He won the 1979 election. The groundbreaking for the Tampa Bay Performing Arts Center, now the Straz Center. The design phases of the Tampa Bay Performing Arts Center (renamed the David A. Straz, Jr. Center for the Performing Arts in 2009) proved challenging, with a few hiccups along the way but no major bumps in the road. The biggest problem – if you could call it that – was that everyone involved with the concept and construction wanted the best of the best. “The biggest surprise in the whole project was how big it ended up being,” he laughs. “I thought it would be one hall – not two or three or four! But, H.L. kept saying ‘I think we need to add this … ’ and it just sort of grew. The people on the committee were all local business and community leaders, we were doing this for our community, for the growth of Tampa, and a lot of the people involved in the construction were local. We wanted to do it right.” The total costs far exceeded Martinez’s initial thoughts, but the community commitment and business leadership followed through to the end, when the Tampa Bay Performing Arts Center opened for business in 1987. Many people don’t know that, before the plans for The Straz began in earnest, a group of “baseball enthusiasts” courted Martinez over lunch to build a pro baseball stadium instead of the performing arts center. Martinez enjoyed his meal, thanked the enthusiasts and said no. “I ran on building a performing arts center, not a baseball stadium. I had to keep my promise.” Martinez, himself a baseball talent who passed on a contract with the Brooklyn Dodgers to get married and attend college, saw that the zeitgeist for Tampa’s second renaissance would be in the arts. Martinez left Tampa for several years to follow his political trajectory – which, incidentally, led to a parallel side-job related to the performing arts. He landed a walk-on role as a customs officer in the James Bond film License to Kill after meeting with producer Albert “Cubby” Broccoli, who invited him to the set in Key West. Broccoli later allowed Martinez to use pre-release screenings of the film to raise funds for a children’s organ transplant foundation. Martinez then got a speaking part on a “drugs and go-fast boats” pilot for a television movie called Thunder Boat Row but it didn’t get picked up. Despite the fact that he has both an IMDb (Internet Movie Database) listing and a former place in the Presidential Cabinet, Martinez returned home, to the place of his cherished memories, his grandkids and to the bustling city poised on the next renaissance. In his spare time, he works towards efforts to restore and renovate Centro Español, the mutual aid society building of his youth. But, he is not riding on nostalgia. Bob Martinez gambled on the economic savvy of relying on the performing arts to drive growth – and won. This incredible story started simply enough, with a teacher-turned-restaurateur who knew that the power of culture could transform a town into an international destination. Jim and Joan Jennewein helped shape the Straz Center in more ways than one. YES! by Martin Eichinger is a bronze sculpture that was a part of the original Performance In Sculpture exhibit in Morsani lobby. In the spring of 1981, a young visionary architect named Jim Jennewein walked across a scraggly five-acre parking lot alongside the Hillsborough River. In his mind, he built a future performing arts center for the people of Tampa Bay. The plans, drawn up by the firm in collaboration with a Canadian team led by Arthur Nichol (who was responsible for the National Art Center in Ottawa), advanced to the final round of consideration for the Tampa Bay Performing Arts Center project. By June 1981, the competition stalled out in a two-way tie, requiring then-mayor Bob Martinez to break the draw. He announced McElvy, Jennewein, Stefany and Howard would be the architects with Jim named architect of record. The Straz Center began, slowly, to materialize. Jim, the son of the great sculptor C. Paul Jennewein, grew up in an environment that nurtured the process of creating three-dimensional art. For Jim, that process included making buildings. His father, whose famous Art Deco sculptures include the Spirit of Justice in the United States Department of Justice and her counterpart, Majesty of Law, created several pieces of distinction for national buildings. Jim’s likeness stands in sculptural from (from the neck down) in the passageway to the White House library, a distinction that happened when his father found himself in need of a male model for the commission. C. Paul Jennewein’s Spirit of Justice and Majesty of Law in the United States Department of Justice. The Noyes Armillary Sphere, by C. Paul Jennewein, in Meridian Hill Park. It suffered serious damage and is thought to have been removed for repair sometime in the 1970s. Its whereabouts are presently unknown. Jim and his wife Joan are long-time Tampanians with an equally long track record of community involvement, engaging from the nascent stages of Straz Center planning and staying involved as donors, patrons and members of the Opera Tampa League to this day. Joan, in fact, holds the title of one of the longest-standing members of the Opera Tampa League Board and served as the Opera Tampa League chair from 2008-2011. Both Jenneweins lend their talents and experience in other areas including art preservation and land conservation. Humble and likeable, the Jenneweins downplay their own involvement in The Straz, and, like many long-married couples, genially share sentences with Jim often reaching to Joan to supply details of their great stories of family, life and work. The Jenneweins’ inherited interest in sculpture served the Straz Center several years ago when Jim, a member of the National Sculpture Society board (NSS), pitched the idea of doubling The Straz’s spaces as a sculpture gallery. The idea flew, with Jim paving the inroads to build a partnership between the performing arts center and the NSS. The partnership marked the first time the NSS branched out to a community. The stunning sculptures in the Morsani Hall lobbies, The Conductor and The Ballet Dancer, represent two of the permanent works in this otherwise on-going, revolving exhibition. The works, unlike in a museum, are for sale, and The Conductor was purchased and donated back to the Straz Center, but anyone can buy the other sculptures. “The sculptures here represent the first continual NSS show outside of New York City and Brookgreen Gardens [one of the largest outdoor sculpture gardens in the world],” says Jim. A new set of sculptures arrived in October 2016 and are on display along the Morsani mezzanine balcony. More sculptures from the original exhibit. L to R: Lift Her With Butterflies by Angela De la Vega; Heinrich by Wayne Salge; Ascent by Leo E. Osborne; Dancer by Olga Nielsen. For 34 years, Jim and Joan have been part of the Straz Center family, part of the first generation of Tampanians to believe in a place to build, share and exchange culture and do the work investing time and resources to make it happen. They have been shaping and sculpting the success of the Straz Center as it, like an evolving work of art, changes shape to meet the growing needs of the Tampa Bay community. “We are so lucky,” says Jim. Interested in knowing more about how the Straz Center launched the massive overhaul of downtown Tampa? Check out this recent article by Richard Danielson for Politico Magazine, “How Tampa Turned a Dead Zone into a Downtown”. Maestro Anton Coppola celebrates his 100th birthday. We are throwing one heck of a party. 1917 was a big year. The first woman was elected to Congress and the U.S. Navy appointed its first female petty officer that year as well. President Wilson declared war on Germany and Congress agreed, thus entering the United States into World War I. In France, Giacomo Puccini premiered La Rondine in Monte Carlo on March 27, 1917. Little did Puccini know that just six days prior a little boy had been born in the Italian ghetto of East Harlem who would, as of right now, be the oldest working Puccini master in the world. On March 21, 1917, Anton Coppola arrived to Italian-American parents in a country that was not yet a superpower. He grew up in East Harlem with six brothers, a clan of men who made the Coppola name (and its spin-off names) as indelible to America’s artistic history as the Great War was to the history books. The line of Coppola descendants have been nominated 23 times for Academy® Awards, and Anton, our beloved first artistic director of Opera Tampa and international classical music icon, survives as the oldest living conductor who still composes religiously and devotes his life to opera. A Puccini master, Maestro Coppola was taught by one of Puccini’s own students, so he embodies a direct lineage to the great composer. “He knows everything, has everything in his head. So he doesn’t need to reference the score – he knows Puccini better than any score,” says Straz Center President and CEO Judy Lisi, who began her professional relationship with Maestro Coppola early in her career at the Shubert Theatre in New Haven, Conn. Lisi, herself an operaphile, launched an opera company at the Shubert that partnered with Yale’s opera master’s program. There she met Maestro. “We were doing a production with Yale students, so I met Maestro and said ‘why don’t you help me start an opera company?’ He said yes, and that’s how it all started,” Lisi says. Scenes from Maestro Coppola’s original opera, Sacco and Vanzetti, which premiered at The Straz in 2001. In 1995, Opera Tampa premiered with Puccini’s masterpiece, Madama Butterfly, under Maestro Coppola’s baton and the beaming, tear-filled eyes of a packed house at Morsani Hall. The ensuing years brought triumph, glory, honor and exaltation to the opera season, growing an ardent following for Opera Tampa and an ongoing infatuation with Maestro Coppola’s brilliant gift at culling the best from performers and serving up one dazzling opera production after another. A crown jewel of Coppola’s tenure at The Straz was the world premiere of his heartfelt, contemporary, original opera, Sacco and Vanzetti. A Sacco and Vanzetti program, and other gems, from the Straz Center vault. The event, of course, is our ever-popular Opera Tampa Gala, this year spectacularly themed in honor of Maestro Coppola’s 100th birthday. Maestro will conduct a concert of some of his favorite works as well as originals – including “The Tree and Me” and the work-in-progress captured in the Times. Selections from Maestro’s masterwork, Sacco and Vanzetti, round out the program. Of course, you can expect a fair showing of Puccini. This video was created for Maestro Coppola’s farewell concert when he retired from Opera Tampa. See his return to The Straz at Coppola Conducts: 100 Years Young on Saturday, Mar. 25. The Straz Center official piano tuner Kevin Patterson on what it takes to keep the ivories in the pink. Our official piano tuner, Kevin Patterson, doing what he does best. The average home piano needs a tune up about twice a year, but when your livelihood and music critics are on the line, a good concert piano gets its ivories tickled, twisted, polished and pricked before every single performance. A piano tuner’s life is a good one: flexible hours, nice pay, a cool skill set with a high tool-level. Plus, if you tune pianos for the Straz Center, you occasionally get to rub elbows with some of the greatest pianists working today. At the very least, you’ll be charmed by our ever-entertaining backstage production staff. Our official piano tuner is Kevin Patterson, and we like him a great deal. So does Rohan De Silva, whom you may know as the Steinway artist who accompanies world-famous violinist Itzhak Perlman. De Silva liked Kevin’s pre-concert work so much that he thanked our humble piano tuner by treating him to lunch. “It was one of my most memorable experiences at The Straz. I’ve tuned for them twice now, and they also require a technician to check over the piano at intermission. Both times, the audience applauded when I finished the touchup tuning,” Patterson says. So, sometimes there is such a thing as a free lunch, and, later, people at your job will clap for you. Like we said, it’s a good life. A full grown African bull elephant weighs around 7 tons. So a piano has two to four full grown male elephants of pressure on the strings. That’s a lot of force on a lot of strings, so tuning can be a delicate, somewhat surgical endeavor. To attain the standard concert pitch of “A440” (that’s the pitch A above middle C at 440 hertz), Kevin uses a tuner app on his phone for the first few notes then does the rest by ear, tuning by intervals then playing arpeggios and scales to double and triple-check his work. “It’s not simple mathematics,” Kevin explains about why he doesn’t use a tuner for all of the notes. “Tuned by machine, a ‘perfect’ treble end of a piano sounds flat to the human ear. So, you have to know what you’re doing to find the right pitch.” In other words, there’s an artistry to capturing the tonal context that requires a human ear to tune for other human ears. Kevin hard at work on stage in Morsani Hall. Kevin has relative perfect pitch so prefers to tune by ear, which is how he was taught as an apprentice and in his formal Steinway training. His wrench, called a “tuning hammer,” works on the individual string while a “mute strip” or “rubber mute” provides the silencing of the surrounding strings so Kevin can work one string at a time. All in, a solid piano tuning takes about one hour. But getting a concert piano into tip top shape requires more than tuning. There’s also “voicing” the tone, a low-tech technique of pricking the felt hammer with a needle to relax the fiber. This manipulation of the fibers’ pressure morphs a tinny tone into a warm, strong tone. On the flip side, if a tone is too flat, a drop of a lacquer solution on the felt hardens the fibers to produce a brighter sound. “You never know someone until you walk a mile in their shoes,” goes the popular adage about trying to be less judgmental and more compassionate. The key to getting in someone else’s shoes is to imagine what his or her experience must be like, to feel what she or he must be feeling. This exercise is known as empathy. One place that’s crackerjack at making empathy 3-D is the theater. With the rise of interest in human psychology at the turn of the 20th century, a new challenge cropped up for playwrights and actors: how to capture the workings of the mind? We know Freud relied on his knowledge of Greek theater to name two of his bigger concepts (Oedipus and Electra complexes) and that psyche is the Greek word for “soul,” from the eponymous goddess. So, drama in real life goes hand-in-hand with the drama of the mind. However, putting that mental activity on paper in dialogue and stage directions is not so natural. The key rests in the collaborative, team-based nature of manufacturing make believe: on stage and screen, other designers lend their skills to bring the vision of the mental landscape to completion. Set design, lighting, color palettes, sound and choreography become crucial to pulling the lofty, abstract ideas of “torment,” “sensory overload,” “insanity,” or “schizophrenia,” “addiction,” or “depression” into a detailed, concrete picture that audiences can see and understand. These elements help bring audiences to empathy, to the shift in perception that allows us to see into the soul of another—or ourselves. Some of the best representations of the wacky, disjointed nature of thought occur on film. We’re thinking here of Charlie Kaufman’s body of work (Human Nature, Being John Malkovich, Eternal Sunshine of the Spotless Mind) or Chris Nolan (Memento, Inception) or Pixar’s 2015 offering, Inside Out, the animated film where even emotions get emotions. Theater plays tend to explore psychology not as a setting (like literally finding a portal into John Malkovich’s brain in Kaufman’s delightfully bizarro screenplay) but as character traits or as a theme. Edward Albee’s Who’s Afraid of Virginia Woolf scarred several generations with its unflinching examination of alcoholism and head games, and Peter Shaffer’s boy-who-blinds-horses drama, Equus, continued to make audiences squirm even when Harry Potter’s actor played the lead. And let’s quickly nod to Martin McDonagh’s The Pillowman, a frightful interweaving of psychological cruelty and children’s storytelling, that proved illuminating the deep, dark perversities of the minds of men was alive and well for this 2004 Laurence Olivier award-winner. Back in the day, playwright Arthur Miller wrote in his stage directions to Death of a Salesman that the set should indicate titular salesman Willy Loman’s varying psychological conditions, and Ntozake Shange’s fierce use of dance and poetry to reveal the psychological effects of racism and sexism on black women pushed For colored girls who have considered suicide/When the rainbow is enuf to be nominated for a Tony® award for Best Play in 1977. Yet theater still experiments with finding ways to do what Kaufman’s and Nolan’s films are able to do—namely, make a character’s mind the landscape of a story. Finding plays or musicals that take place inside a person’s experience of the world to put the audience inside the character’s worldview are few and far between. Then there’s The Curious Incident of the Dog in the Night-Time. This play (it’s not a musical), based on Mark Haddon’s novel of the same name, takes theater one step further. Curious Incident follows the events of the main character, Christopher, a boy who has a rather brilliant and extraordinary mind, after a neighbor’s dog is murdered. That mind, however, processes the world unlike most people’s minds. So, how does a production team build a play to spark compassion and empathy for Christopher? It puts the audience in Christopher’s shoes. Or, literally, in Christopher’s sensory experience. The set itself serves as Christopher’s psychological boundaries. His mind, a grid-based thinking system (as opposed to our floaty, nebulous artists’ minds), becomes the walls of the set, the grid illuminated in different ways throughout the performance. As audience members, we are thrust into Christopher’s perception of the world with its numbers, noises, chaotic choreography, indirect and disorganized language and baffling array of incomprehensible adult reactions to facts. Christopher and his pet rat Toby must solve the murder, and we tag along for the ride, strapped into the observer’s seat in Christopher’s worldview. Often, like Christopher, we find ourselves overwhelmed by the onslaught of movement, sound and unpredictability of every day living. Frankly, it’s a stunning theatrical achievement. Perhaps, at least in this case, we can say we know Christopher by the end of the show, not because we’ve walked a mile in his shoes, but because we’ve watched two hours from the inside of his mind. Curious about Curious? Then come see the show. You don’t have to have a lot of money to study the performing arts. If you have a child or child in your life who has dreams, talent or just plain curiosity, we have scholarship opportunities to help them get the classes they need. The next Patel Conservatory scholarship deadline is Dec. 3, 2016. Abigale performing in concert with the Patel Conservatory Vocal Arts program. This year, one of our Patel Conservatory scholarship students headed to Carnegie-Mellon University on a tuition scholarship to study international politics—and the performing arts, thanks to her years of growing up with support and training from The Straz. Abigale performing in the Patel Conservatory production of Seussical the Musical, 2011. … Sooner or later in my artistic career, I am going to establish a non-profit conservatory for the performing arts. I would like it to be a place where people with the eagerness to experience the arts can go to regardless of their financial situation. I want my conservatory to be a home for children and adults just as the Patel Conservatory/Straz Center has been for me all these years. Abigale (in blue) performing in the Patel Conservatory production of The Little Shop of Horrors, 2013. We want to make sure that all young people in the Tampa Bay area have the opportunity to study and grow in Patel Conservatory classes, just like Abigale. You never know how an experience in the arts may affect your life. If you want to take performing arts classes, we have scholarship opportunities available. The next scholarship deadline is December 3, 2016. Details and applications are available on our website. We recommend that everyone submit the need-based application so we know there is a need; from there, the scholarship committee reviews applications and offers awards. 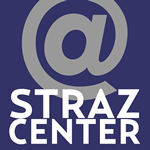 If you have questions or would like more information, please contact patelconservatory@strazcenter.org. Carole King, one of the greatest American songwriters of the 20th century, started with a piano melody. As the song took shape, she added layers, eventually adding lyrics — first with her then-husband Gerry Goffin and eventually on her own. Tapestry, her seminal 1971 solo album, remained on the Billboard charts for six years, top in record sales until a little album titled Thriller toppled her reign. Although many great songwriters came before King and many will follow, there seems to be no set way to write a song. Some writers start with a beat, others a melody, still others hear a hook or obsess over a lyric that arrives unceremoniously while the songwriter takes a shower. The songwriting process seems to be a bit of a zen undertaking: all roads are one road. Writing a hit song, however, is a road much less traveled. Even seasoned songwriters are never sure if their work will produce a hit or miss. Guy Chambers, the current British hit-maker for acts like Bryan Adams and Robbie Williams, averages one hit song for every 47 he pens. The good news for workaday folks interested in writing their own songs is that a decent song, or even a fantastic song, doesn’t need to be a hit. Inversely, scoring a hit doesn’t mean the song is that great. Perhaps some of the best songwriting happens in bedrooms, in train stations and on the job, performed on porches, neighborhood corners and tiny spaces with makeshift instruments. Generally, songs consist of intro, verses, chorus, bridge and outro. The intro grabs the listener’s attention for the song’s story, which unfolds in the verses. Verses often rhyme (although they don’t have to) and create a rhythmic pattern for the listener. The chorus is — as evidenced by the songwriting standby — arguably the most important part of the song. A chorus should be sing-a-long-able, catchy, memorable and convey the main message of the song. Often, the great karaoke fails occur because we think we know a song, but we actually only remember the chorus — that’s how powerful it is. The bridge provides the song’s contrast and the outro leads the listener to a sense of closure, perhaps with subtle melodic changes or repetition. Happy writing. For inspiration, check out the handy Songwriting 101 chart above or get to know some of the latest greatest singer-songwriters showcased in our Club Jaeb series.